There is no Plan(et) B….. The Global Spa & Wellness Summit is right now taking place at the Aspen Institute in the US. I am one of the founding board members and have been to each one since the start 7 years ago. It is an amazing event, and this year is unparalleled. I will give you some insight to what is happening the coming days and weeks. Today will be perhaps not the most uplifting brief, but no doubt a wake up call! The first day was about innovation and also talking about how the world as we know it is changing. As Costa Rica’s former president Jose Maria Figueres Olsen said – there is no Planet B, we have no second chance, we need to act now. What we are currently doing, he said, is re-arranging the deck chairs on Titanic…. An equally grim picture came from Philippe Bourgingon. Who said that the economy and growth that we have experienced since World War II is coming to an end, the consumption led as well as the export led economy are dying. We have been living above our means, the current lack of consumption is pushing countries to debt and the western methods to correct this do not work any longer. This recover is the worst recover of the last 11 crisis recoveries. What we are doing right now is giving the economies pain killers, takes away some of the symptoms but does not cure the root cause…. He also spoke about that the world today is delivering a “sick care” system and not a “health care” system. 2 of our 7 billion inhabitants on the planet is living on less than USD 1/day. That the declining state of our environment is directly linked with many of the diseases today, such as for example asthma. The good thing is that what science has found is that 3 our of 4 people do not need to be in the hospitals if it wasn’t for our behavioral problem we are showing. Food, drugs, domestic violence, life style etc. is what in 75% of the cases pushes us into the sick care system. This is good news! We can do something about it – wellness and spas play a very important part here! Well, that was the wake up call! Tomorrow I will speak about what John Kao (innovation activist) and Ted Souder (Google) said. That will make you happy again! Ps. 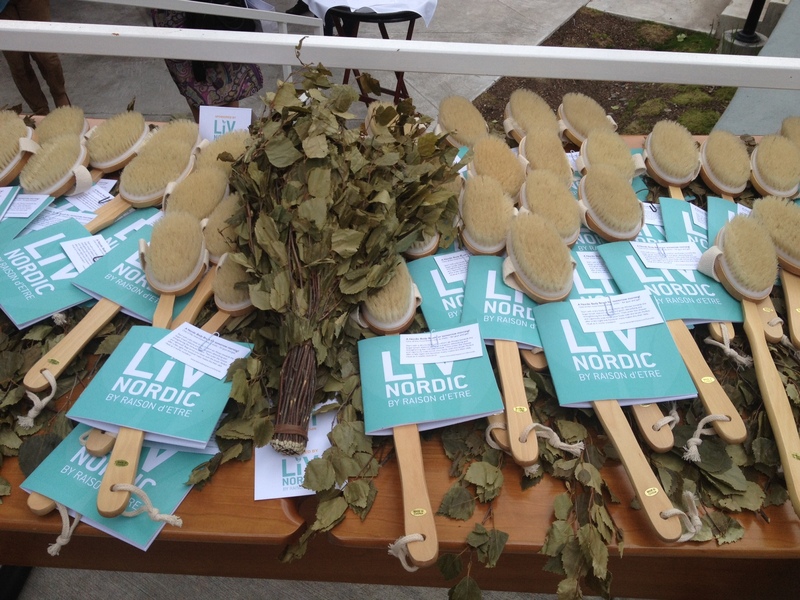 Ted SOuder from Goole congratulated the very innovative idea to give out our LivNordic bath brushes to market our new brand! Ds. ← Getting hyped up for summer! Tough, but however thoughtful information. A wake up call indeed. Looking forward to read the following output from this Summit. Beautiful morning here in Aspen, just been out for a morning run, more coming this afternoon!, Thanks, Linda!